In this special Amazon Code Review, I focus in on this product’s email list campaign and show you how it is designed to take big bucks from you for the pathetically-inferior product you get out of it. Do NOT buy this product! Price: The advertised price is $37. Once inside the user is presented with a $197 upsell. Watch Out and Keep Your Wallet Closed!! This is an Amazon Code Review, but it is a supplement to one I have already done. The Review covers what’s in the Amazon Code (AZ Code product) and barrels down on the fraudulent promotional campaign these snakes have used to already have taken in thousands of folks looking for income opportunities online! This Supplement covers an area that I discovered after having written the first Review and found it necessary to add this. This concerns the JV/affiliate promotional tools for this campaign. There are 14 email swipe files the affiliates use in their email-marketing campaigns. I have featured all 14 of the emails here and will have a bit to say about each. This supplemental Review is about those emails and is meant to show you, the reader, the kinds of things these unethical marketers throw at you and how you might get tricked by this. Email is much more personal. The search engines do not see them therefore, they do not index what’s inside of emails. This makes email marketing a remarkably effective tool to use in such voracity that can’t be used otherwise. Email lists, in the wrong hands, can be detrimental and costly to those who get taken to the cleaners by them! What about the product? The “system” referred to numerous times is merely two pdf files, one the so-called main guide and the other a bonus of sorts, the booster guide. There’s no doubt that what’s in Amazon Code’s content is useful information but it’s nothing to boast about. It’s simply isn’t anything that will make practically any user the kind of income claimed here. Are You Getting a Deal Here? Both of these files are all about how to import goods from China that you will use to sell on Amazon. That’s the ticket here. Both of the files come at a cost of $47 USD, but when actually purchaseing, you find a great deal here when you discover that the cost is actually $37. So you’ve saved $10. But, are these guides worth the money? Upon looking into this, I say a resounding NO! The Amazon Code (AZ Code) comes with the front-end product that consists of the above-said files, but to throw the frosting on the cake, they hit you up with a up-sell at the bottom of the Main Guide. This link will take you to a simple page where you make the purchase and then you are presented with the download link. What do you get? You might have guessed – another pdf file that give you more of the same! You get information meant for Pros – or do you? Do it yourself – Google some of the stuff you find on here and it will come up. It’s just more of the same – basic information that you find on the Internet for free! Is this Guide worth $197 USD? That of course is your call. Aside from the off-the-top promotional campaign used for this product that is clearly incredibly over-hyped, this amounts to my opinion. 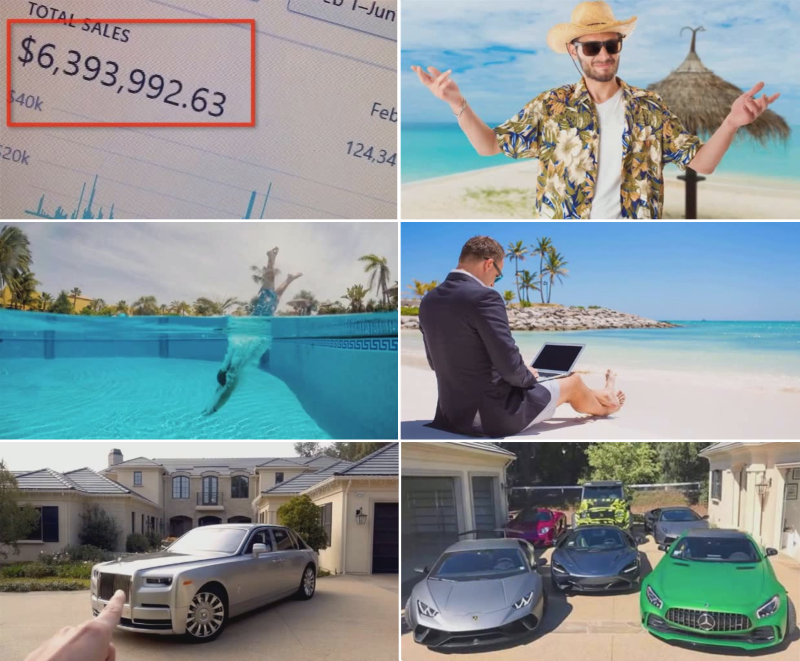 In my experience, anything related to Internet marketing, affiliate marketing, MLM, and any of the other popular online business models wherein the advertising, it’s easy, done for you, will make you incredible amounts money immediately is something to avoid. 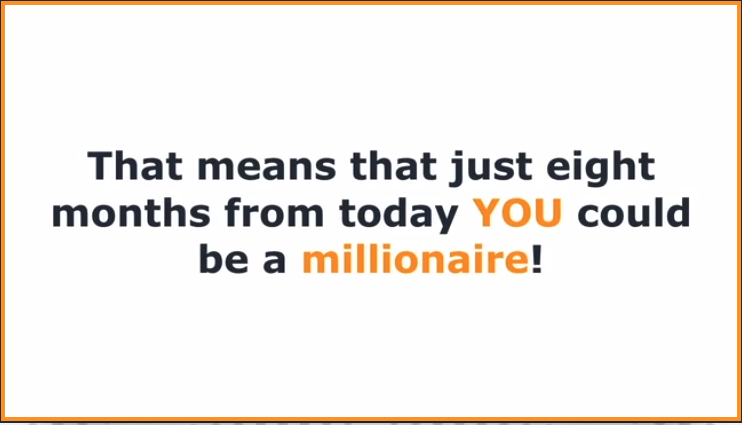 It’s extremely likely you will not make a dime from it, so do not waste your money! Invitation to the Exclusiveness Club! This appears to be the vanguard email you get in your inbox. It’s very likely your name and email address wound up on a list or two that was made available through purchase or renting. These snakes have gotten ahold of your email You will get more.Right off the bat, you’re served up one of many sense of urgency calls that you will be getting throughout the promotional campaign. 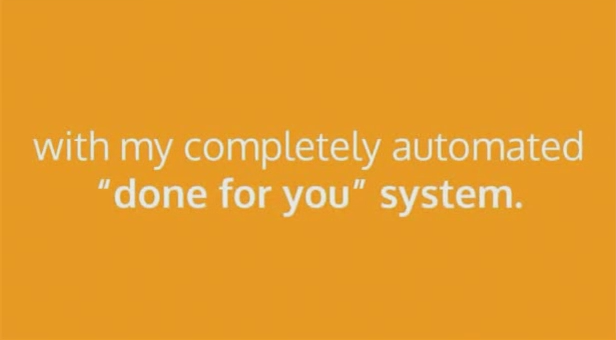 Here you’re asked if you have checked out this secret system. You are also served up the first of many bits that make up the false advertising you will be seeing regularly. The sense of urgency is there once again when you are warned not to miss the opportunity to do the next thing tha characterizes fraudulent advertising in push-button applications like this – banking easy online cash today! It’s short and to the point. This email could be used as the vanguard, or leader in the sequence. It probably is the alternative to the first one. The instructions in it is straight-forward. We have already seen some ellusions to ease of use above. The emails below are yet more. The implications here are, it’s easy, it doesn’t take much time to implement and, though you don’t find it in these emails, the sales video itself tells you this is all done for you. Hah! Seeing what you get above, who is going to be doing all this for you? Of course, considering the topic, this will take far more of your time and money to actually do considering finding Chinese suppliers you can trust, understand, and work out a deal with. Then comes the hassles that come with importing the goods, and actually having them sent, all of which isn’t easy. Then marketing on Amazon isn’t as simple as ten minutes of your time each day. You also have to get the goods, warehouse them, get the product sent out if you haven’t used Amazon’s services to warehouse and take care of this for you – which isn’t free, and then deal with complaining customers, refunds, yadda, yadda, yadda! Don’t be fooled by these email! 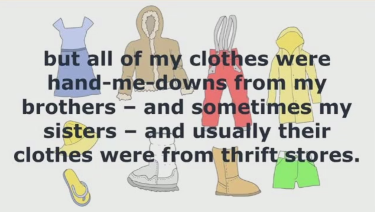 This message is supposed to create an analogy of your work day as an employee. The marketers of this scheme know that 70% of all workers in the US are not engaged with their job positions and some are actively disengaged with them meaning, they hate their jobs. In this email, here’s your work day. Short and simple – What’s inside this message? It gets opened. Once opened, the message doesn’t change from the subject line of the email itself. The hoplink gets clicked. Clicking on the link becomes more likely by the ominous words below it, “Take heed!” which broadens the curiosity factor. How convincing is this? It’s like telling a toddler, “I’ve got some candy for you if you get in the car!” This is a sheer attempt at bypassing the reader’s intellect. Pure curiosity-getter. It’s also a pure lie! There’s nothing whatsoever about watermelons in the sales video. I also looked through all three of the pdf files. Nothing there! This one is drole! It’s also another lie. $500 guaranteed by whom? Who else wouldn’t want a free $500 to claim? One would think everybody would know better, but that just isn’t true. How well this email converts remains to be seen, but one thing is for sure – someone somewhere has fallen for it. Not much to say on this one – it’s just another similar to Email 5. They Get You by Creating a Sense of Urgency! Nobody likes to be left out. If it’s what’s happening, we all want a part of the action. This is what the sense of urgency does. You’ve thought about it but may have some objections. Advertising like this often comes with a little bit of persuasion – that sense of urgency. Nobody likes scarcity. It seems to me this email precedes the final one below though it may be placed anywhere in the sequence. However placed, it will be the next to the last. This final one is the end of the fireworks display. If they don’t have you by this point, they won’t. You’re not fooled by any of these emails and for good reason – it doesn’t take much of a mind to see the fallacies in these emails. However, these snakes will do anything to get you to click through to the sales video which works on you that much further. Notice that all of the emails shown here are very short and to the point. They want your attention and to do this, the have to do this within the short attention span most people have these days. This Is Almost Sold Out! This is the final email and it’s supposed to be the finale in the fireworks display. It packs a punch and is designed to shock you if you indeed felt a pull towards purchasing the Amazon Code. Unfortunately it gives you one final hope. You can be sure that this product isn’t going anywhere soon, until it runs its course and then gets taken down. It won’t last very long, but it will be there awhile. If you’ve not purchased this thing, congratulations! If you’ve not seen my other review on the sales video itself where I rip this thing apart, you might want to take a look at that now. the Review will open in a separate window. As an honest and sincere person, it is my duty to expose the junk like that above and teach folks who are out trying to find a safe and truly rewarding opportunity. I am a member of Wealthy Affiliate and have been for almost 9 years now. I want to show you that Wealthy Affiliate is not like products or programs like AZ Code. Wealthy Affiliate delivers on everything found in its advertising and you will immediately find that the advertising itself is nothing like what you customarily see. You will not find any hype, or fantastic income claims that everybody who joins gets. You won’t find push-button fortunes here. The work is not done for you! You will be taught how to work in the affiliate marketing industry without the flashing lights and the hype. It’s not there. You will be informed that any worthwhile ideal in building a business comes with hard work and patience. You don’t make money overnight. Show me a business that has. Yes, but they’re very rare and unusual. Wealthy Affiliate has been around since September 2005. It has freed hundreds of thousands of people like yourself from the rat race and working for employers. It provides everything you need, including several layers of support, the tools and business platform and a 1.3 million member community that you interact with. This includes highly successful folks, intermediate folks and those just beginning to learn. One thing you find with Wealthy Affiliate that you rarely do with any other so-called platform or product is that you are shown what it is and what it does. Wealthy Affiliate also shows you what you’re responsible to do to build your business and make the grade. Again, this is not a push-button system where you click your mouse a few times and get rich. It is however. 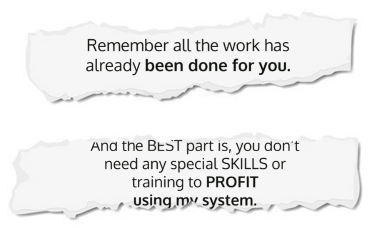 a training system you will need to bring desire to learn, work and determination to master the industry. In my Amazon Code Review, I analyze the shady advertising for this product. I also find the AZ Code isn’t nearly worth the price. The content is very basic & rehashed. DO NOT BUY THIS! It’s better quality elsewhere & it’s FREE! What Is It and Is It Worth the Money? I’m going to answer the second part of this question first…the answer is, No. No Doubt, This Is off the Top and You Won’t Be Getting There with AZ Code! The reason I say this is because, even though you get two pdf documents, one being the main guide on how to set up and sell on Amazon and finding Chinese products to import and sell on the giant marketplace. The Guide has 70 pages and the information that’s in it isn’t bad. The problem is, that much of it, for starters, can be learnt on Amazon, which has tutorials. Nobody is better suited to provide tutorials than the ones who know the marketplace – Amazon itself. Furthermore, there is information in Guide that tells you about setting up accounts with Chinese suppliers, importing goods and even what to do with the language barrier when dealing with Chines agents. 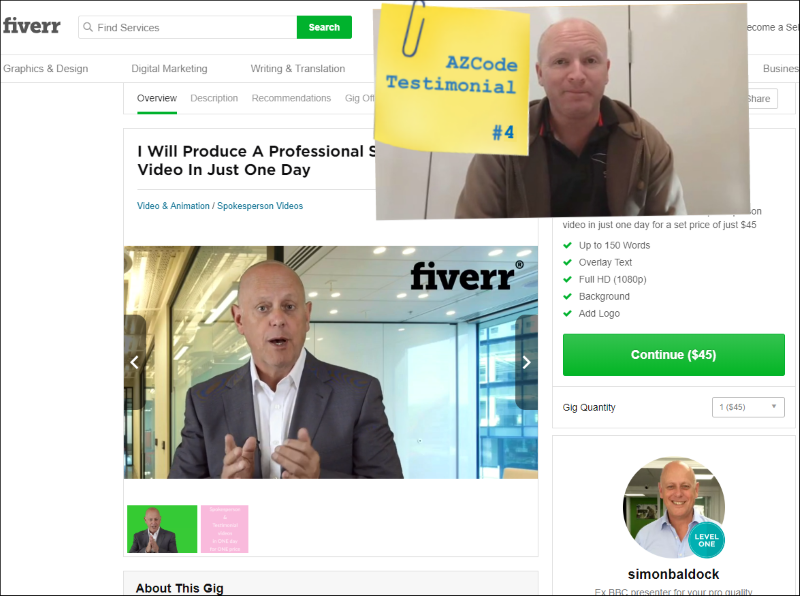 There are not many results With any luck, you will find “Chapter 6: Minimum Viable Product – The AZ Code.” This is the product. In fact, if you can get that far, play around with what you have in front of you. I downloaded everything, including the up-sell from simple searching when I got thinking about what I had and wondered if the other two could be found. Sure enough! In my opinion, you are doing nothing wrong if folks are selling something and do not have the sense to secure it! I’m writing a review on the product and have no interest in purchasing imports from China so I can resell them! Now you know what the product is and even have given you a way to go get yourself a set of the pdf files (which I don’t think are worth $37 and $197 respectively and are outlandishly high-priced for what you get!) I was quite surprised I stumbled into that find today! I was going to write entirely about the advertising, which I still am, but maybe not in quite as much detail. I did a review on what I believe is AZCode’s sister product, AZForumula. The entire review is about the advertising alone. I felt I did not need to go any further. What I found in the advertising should throw up red flags in front of anybody who sees it, unfortunately it actually draws them in and they get scammed. This is why education about this type of stuff is so badly needed. The losses that comes from inferior and downright worthless products and services is beyond belief! The advertising for this product is child’s play conpared to the earlier product I reviewed. Nonetheless, the coersive persuasion found in both are very powerful and effective. How folks who put out (in this case, “fair” infoproducts like this and claim that “all the work is done for you” and a whole slew of other ridiculous claims, is beyond me. Here, we have three mediocre digital guides, probably slapped together and from what I see, is not only based on the free stuff you find already available, but very likely came from it! The AZ Code Product – 3 Mediocre PDF Files on Exporting Goods from China and Reselling on Amazon – Not Worth It! There’s not much to say here. The entire sales video is riddled with the flashing of dreams, so-called proof of earnings and huge numbers. 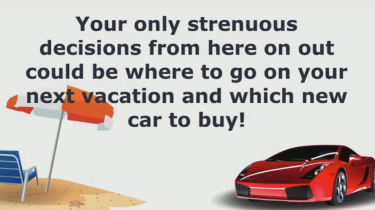 You are no longer worried about bovine bosses, alarm clocks, working for someone else, traffic jams and the inability to being able to do things on your own terms instead, you are now concerned with where you are going to spend your next vaction, which expensive car you’re going to buy, etc. You are shown figures of earnings that are simply over the top and then assured that your skeptical feelings are perfectly normal … it goes on. the adverting is there to soften you up and get you in line for another sale. There are probably more, but two jump out at me when I watched the video. The appeal to emotion is one of the most widely-used, most common ploys found in advertising. The objective of using this logical fallacy is because not only is is very powerful and effective, it is the easiest way to soften someone up in any communication. Flashing money and expensive goods (even of those mansions and cars were rented for the videocast!) excites the emotion. Folks are up against it and this is an unrelenting conditions in the lives of most people. This makes for sheer susceptibility to messages like this. There is no mercy imparted from advertisers who use these tactics. What you are seeing is an invalid argument. 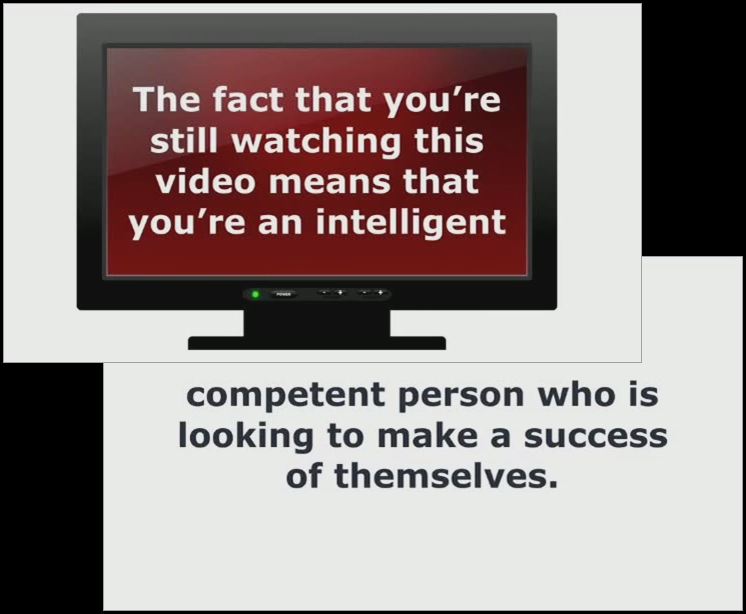 Because you are still involved with the sales video, this necessarily identifies you as an intelligent and competent individual. Just a little thought about this will tell folks that this is simply flattery though, anyone who may be naive or not with it, won’t see it that way and are actually flattered. Yes, there are people whom this message will fool and it then does its job of taking a tighter hold of that consumer. It’s not that the products themselves are worthless because they do have some value. They’re just not worth the prices being asked for, not by a longshot! The Lies! The Lies! The Lies! Very Easily Forged, Yet Consumers Fall for It All the Time! There’s much, much more that could be said about the advertising campaign for these three handbooks. If I can find the sales video on YouTube, that’s going to grace the top of this Review because people need to see it and then read about it from someone who can see what’s happening and cares about others systematically-getting ripped off! It goes without saying that, though it is possible to learn from those handbooks, they’re nothing to write home about and certainly not worth any bit of the money hundreds of thousands of people have already paid for! If I can find that video there, it’s coming on here because people have to learn not to get taken by crooks like this! Most everything in that sales video is a pack of lies, misrepresentations of the facts and deliberate intent to sell sizzle where there is no steak! These guides may give you some basics about the topic in consideration here, but you will not get rich from what’s in these guides – not any one of them. I am ever so glad I accidentally came onto them today! It definitely makes for a better review! This is just one more case of fraudulent advertising that was used to promote a mediocre product, one that is helpful, but by no means one that would make you a millionaire in less than a year! If you are looking for a viable opportunity to get education and learn a business, I am a proud member of one you might be interested in. There’s no hype, lies or anything false in the advertising and it is a high-quality place of excellence in a community 1.2 million strong and growing. I am going to include a comparison chart between Wealthy Affiliate and AZCode. 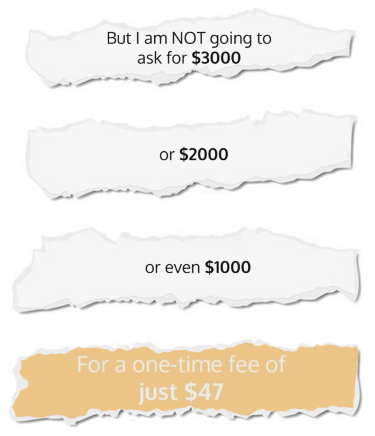 For what you hopefully didn’t pay ($234) for a little about 150 pages of just “okay” material, you could put another $150 with it and get an entire year of top quality training in affiliate marketing. You can click on the button below the chart to see my Wealthy Affiliate Review. The chart will follow this paragraph. 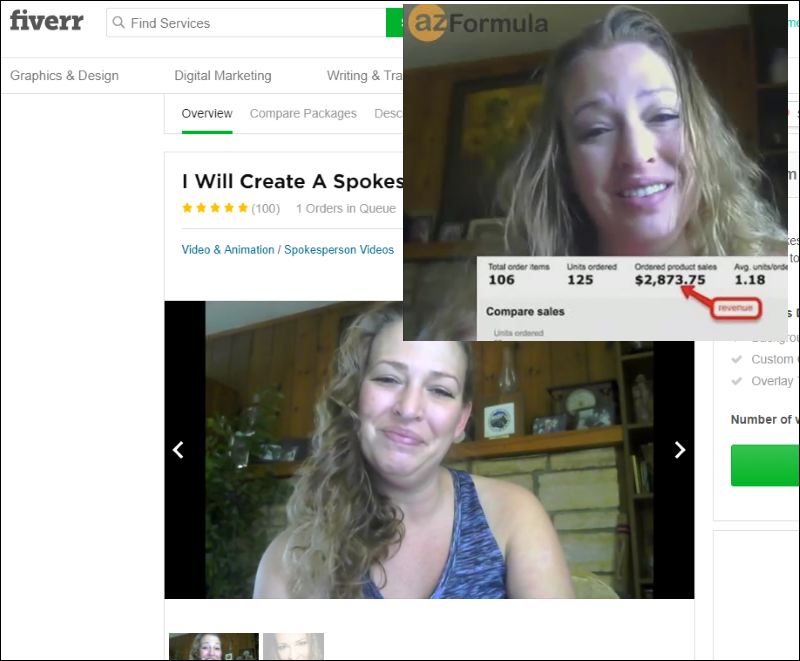 In my AZ Formula Review, I dissemble the sales video to find that it follows the same popular sneaky methods used by scammers to trick unsuspecting buyers into purchasing inferior & worthless products. My advice: Don’t buy it! Price: The advertised price is $47. However, just below the Getting Started button on the website, there is a small line that reads, Become a AZ Formula Member Today Only $37. According to a JV data page for this product, the User is presented with a series of up-sells after the purchase. What’s This Product All About? Unfortunately, there is very little to go on inside of the sales video. My best guess is that this is some sort of software, either desktop or online software that acts as a tool to increase sales for those promoting products on Amazon through their Associates Account (which is Amazon’s affiliate program.) This is the only information that can be derived with a hint of certainty from the advertising campaign for this product. Who the Heck Is Steven Cook? That’s all the information I can come up with about AZ Formula and its founder. Apparently the real information is intended not to be known. For those who know what to look for in advertising, a lot can be said about the product itself. Though this isn’t true in every single case, red flags in advertising can be a very determining factor about the product. Some signs of a faulty product or service can be readily seen the use of logical fallacies and an excessive use of other types of subtle but coercive persuasion. In simple terms, this is false and misleading advertising. The advertising for AZ Formula closely follows popular methodologies used for inferior and downright scam products. Very often, this kind of persuasion is used. The use of eye candy through the flashing of wealth excites the emotion in a number of ways. This is a logical fallacy, the fallacy of emotional appeal which is often used in advertising. There surely is a fair share of this in every way, as the consumer sees, reads and hears it as s/he follows along. The presence of information about wealthy in an advertisement doesn’t always mean the product is bad, but the practice of using it is commonly used by fraudulent marketers because it excites emotion in buyers. More on this later. The screenshot above, indicates that the motive for inserting the imagery shown below is, to excite emotional appeal in buyers for this product. These are outlandish claims within the advertising. 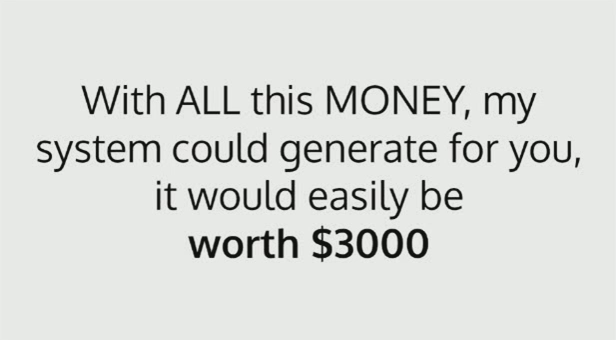 In this case, there’s fantastic amounts of income that is said could or will (both used in this video) result from the use of the product within a short period of time. There are claims that immediate results will occur upon setting up the product. These claims are also coupled with such ease that there is little to no effort required of the user. (More on this in the next sub heading.). The advertiser has made sure this is done by “doing it correctly” and and according to instructions. Entire franchises have been founded upon this tenet. Some of these are known as a Silver Bullet and The Big Red Easy Button. Very often a simple three-step process is presented. This lures people in because it’s easy and effortless. Advertisers know this and it’s used everywhere in campaigns. It is a form of assurance about a product or service and when used in fraudulent advertising, it leaves the user bewildered, frustrated and downright angry. 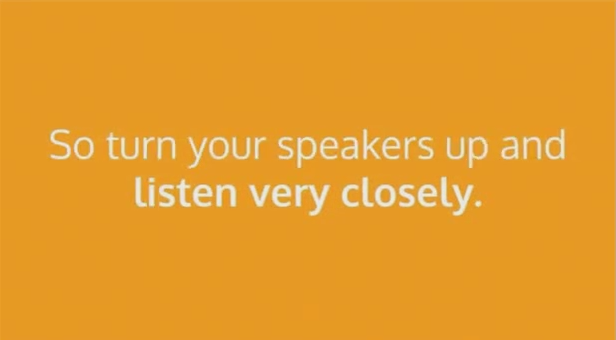 This sales video is riddled with this prmise. When we research products and services that we find, we like to see how others have experienced them. We believe in them because they’re supposed to represent customers’ use of the product and what they think of it. It helps us with our buying decisions. 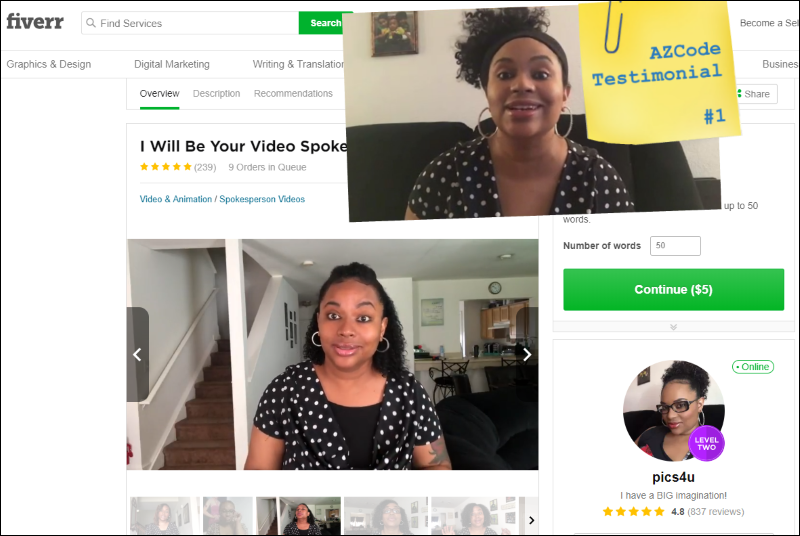 What if the tings that are said in the testimonials are not true? They misrepresent the product or even worse, they’re from folks who have never used the product! This is exactly what happens here in the testimonials found in the advert. I have found two out of the five folks on there giving false testimonies. This leads me to believe the tall of them ar bogus. They’re actors from the well-known Fiverr.com, where folks hire themselves out to be spokespersons gigs for all kinds of applications. 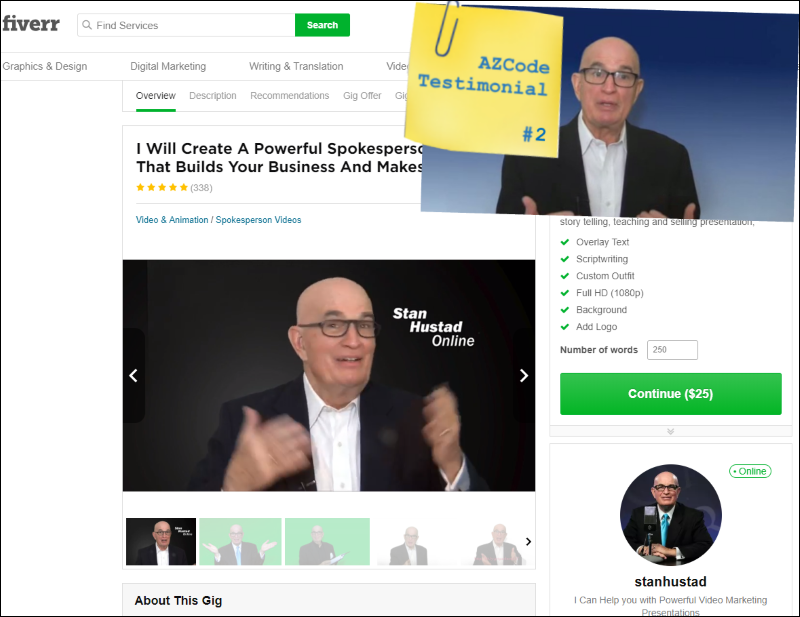 This includes real-looking testimonials for folks who need them for their advertising. Fraudulent marketing includes the use of actors who pose as folks who have been exposed to the product or service! They’re lies! Check below! It’s Not Gong Anywhere Any Time Soon! In the rags-to-riches story in this advert, there’s an apparent reason why the product is in short demand. Other apparently controlling entities have found out about this product and they have been angered by it, as if these folks could shut the system down, therefore, only a very few will be allowed in. 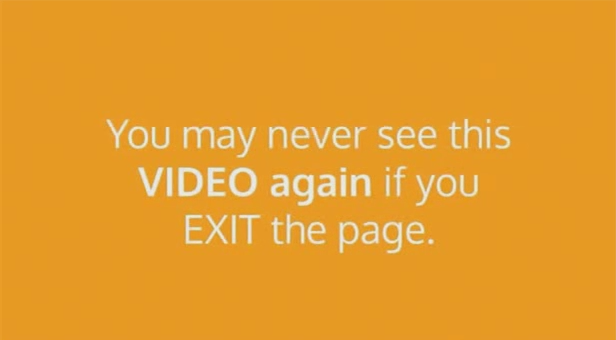 Several times, the viewer is told to move quickly because the video might be taken down at any time. Scarcity is outright used to invoke fear and urgency into folks who think they are looking at the deal of a lifetime and this breaks down the consumer’s ability to think rationally about the transaction before purchasing. Owner Takes Such Attention Away from Himself! Assurance is another tool used by marketers, and though there are times when such tools are needed. However, assurance is also used as a ploy to amplify trust and diminish skepticism. He’s right there for the small-time entrepreneurs out there trying to make their businesses go and his conscience can’t let him sleep nights. This drives Mr. Cook to play out some altruism upon the “lucky” few whom he can take in under his wing. These, and other forms of assurance are commonly used in false advertising of this type. Finally! Some Clues as to What This Product Is! Intermingled with the It’s all done and set up for you spiel, Mr. Cook begins talking about online business sales and how they have overtaken conventional brick-and-mortar counterpart. He brings up some statistics. I have not checked these. They may be true and they may be some more false information. 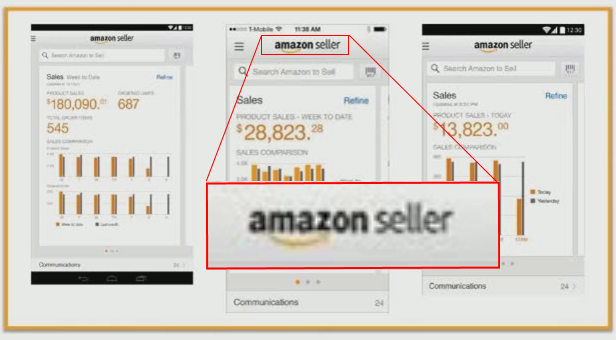 We also find, in one of the images shown of three statements, that the headers are Amazon’s. Very likely the product is some sort of hack that helps boost sales in Amazon. Cook asks how inventory can be managed, what to sell, etc. Evidently this is what’s involved. This is where advertisers build perceived value. This is done as a sort of shock to get folks to believe something is more valuable than it really is. 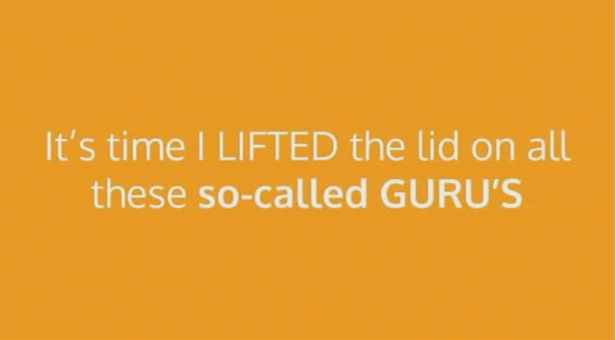 By now, this sales video has a lot of people hooked. With what’s been discussed so far about AZ Formula’s advertising campaign, there is little to wonder why this would be so. The above are powerful tools and fraudulent marketers cram adverts like this full of fallacy and junk. If you were to literally remove the coercive persuasion, including the appeal to emotion, the rags-to-riches story, bogus testimonials, flaunting of wealth, and the lies, you would have less than a minute of stuff that even remotely has value to it. 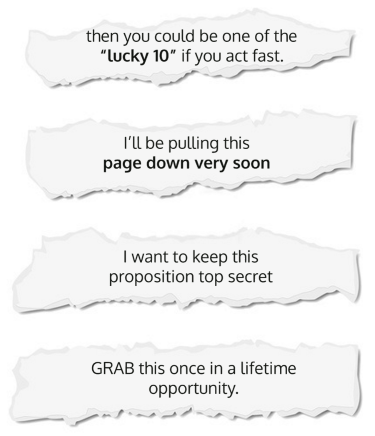 Often used, and should raise a red flag, is the stepping down process just before the final call to action I call, the Down-Sell Sequence. This a version of the late-night infomercials, the “But Wait! order now and we will send you two pieces of this junk!” that puts a calming effect on prospective buyers. Here, the price gets dropped from the ridiculously-high amount to the deal of the century – the famous $47! The Call to Action Can Be a Buying Call or to Get Involved with the Advert. 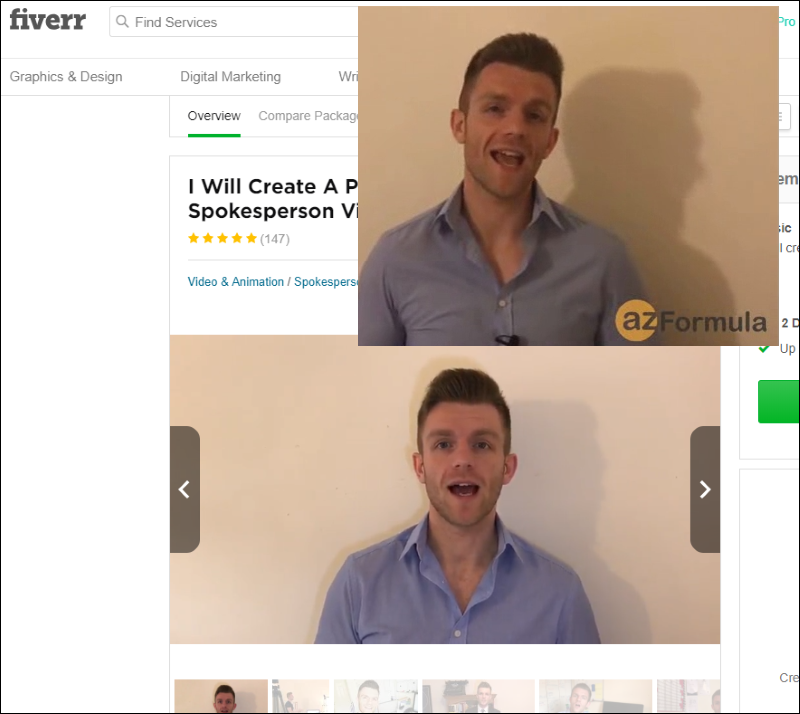 In the AZ Formula case here, we have the typical call to action with embedded reminders of everything discussed in the video, telling the consumer what to do next. A Call to Action within the body of the ad can also be there to get the viewer to do something that will likely get increase the likelihood that the person sways toward the closing of the sale. This tactic is used by nearly all experienced advertisers. I have not gone any further with this. This advert says enough about what to expect. the lies alone found inside makes me write a great-big red SCAM across the product, even though it may work. A picture is worth a thousand words, and I have already written more text here that might make some folks weary. If only 10 souls are being admitted, than why is the following? First of all, there are marketplaces where affiliate marketers (folks who promote products and services on the Internet for businesses.) and vendors (the businesses that offer affiliate programs for the affiliates) meet up and do business with each other. The marketplaces are called affiliate networks and serve as a brokerage for the two groups. Clickbank is one of these and AZ Formula is being hosted there as of this writing. The product has just launched within the last day or two. What makes the advertising we have looked at so misleading beyond anything else is the fact that there are thousands (very possibly tens of thousands) of affiliate marketers promoting this product. There are millions of emails going out to inboxes across the globe. Ten Lucky Ones? Who in the heck could those be? 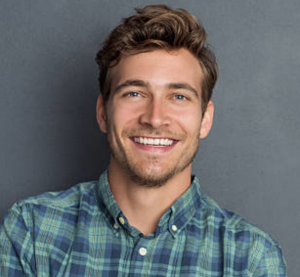 I can show you a program that I recommend, not only because I have been a member of its business platform now for almost nine years and that it has a proud community of almost 1.3 million members strong, but because its basis is in paying it forward, which is taught in its courses and training modules. If you are looking for an honest and true place to learn how to build a business suited to your passions and interests, you’ve come to the right place. Wealthy Affiliate has long been known for its quality and high-ticket signature training, tools and support you get at far less cost than you get with products such as the one above. I will compare AZ Wealthy Affiliate with AZ Formula so you see first-hand what you get in each. AZ Formula and others like it claim close-knit support systems that don’t exist. Their “systems” often turn out to be a cheap pdf file or two, or some other low-quality product, and take you by the hand and do that work for you? Forget it! Not so at Wealthy Affiliate. Here you will learn the ropes of affiliate marketing and what you see IS WHAT YOU GET. Since 2005, Wealthy Affiliate has had no rivals. Take a look at the chart below. 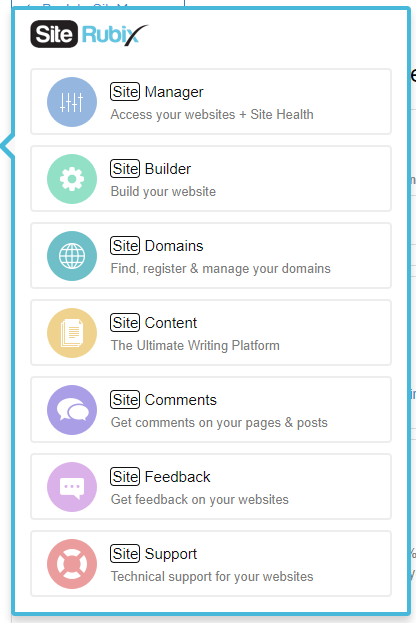 At the bottom of the chart is a button that will take you to my Wealthy Affiliate Review. Wealthy Affiliate allows you to come inside and experience it for yourself. No stone is left upturned and you will know first-hand what you’re getting. There are no obligations here. See it for yourself. Give it a try – it’s on the house! There is no cost to try it. 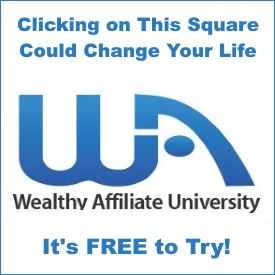 I guarantee you’ve seen nothing quite like Wealthy Affiliate, and I am proud to say this. In 2011, Clickbank, an affiliate network (that is, a marketplace or brokerage where affiliate marketers and vendors meet,) realized and took action on a serious problem that was going on within its domain. It’s reputation was on the line with mounting complaints about scam products being hosted by them. In a ditch effort to turn this around, the network cleaned house, ousting thousands of these inferior products. Other affiliate networks followed suit to purge their lists of these baddies. On the day of the launch, the new website posted a small message about Clickbank’s oustings. Whilst it technically couldn’t be said of the affiliate network that it was a scam operation, as it was very similar in operation to Clickbank in many ways, the network did host a very high percentage of scam products and services. To have been an affiliate in Clicksure was only for those who didn’t care about their reputation. Indeed, there are lots of people out there that will make a buck, even if it’s shady. It happens all the time. Reputation at Clicksure wasn’t a high priority either. It opened its doors to every country, including those reputable companies such as PayPal, bar from some or all of their services. As a brokerage, Clicksure focused on making money from its listed opportunities whether or not they were scams. They even provided services for vendors in marketing campaigns for a cost, which included things like the use of false testimonials in sales videos, not to mention lies and misinformaton and all kinds of logical fallacies! Today I went to search for some bad products to expose. I do this simply utilizing advertising campaigns used by unscrupulous vendors. Many of these hosted on Clicksure had strikingly the same methods used throughout the board. I found two fairly recent sources (both in June 2018) that Clicksure was closing down that the directors simply decided to, leaving vendors and affiliates scrambling for their money in their accounts. I visited Clicksure’s website. Sure enough, all the links pertinent to starting a new account, affiliates, vendors, in fact, most of the links, though the text, graphics and special effects are stil there, the links are not. Clicksure’s Closing – Is It Good News? The good news is, this is one more source of piracy and scammy products and services that have been interrupted. These people are now going to have to find other places to host their scam products. Many of them probably will but they’re not going to have it as easy as they had it in Clicksure. That network was all about providing hosting for such rubbish. They didn’t care as much about reputation as they did pulling in the dough. The network was also from out of China. the Chinese government apparently has no legislation against the kind of fraud that went on with many of the vendors. The affiliates who made huge winfalls of money off the sales from these scam products are now going to have to look harder to to replace what they had lost. The products meant big money for them, not because there was any value to the products, but that the advertising for them was so powerful, that alone did the selling. Unfortunately Clicksure directors have decided to close the network. Play with fire and you will get burnt if you are not careful! Clicksure’s Closing – Is It Bad News? However, though the affiliate network has shut down, what does this mean? This isn’t going to stop the scams from occurring. These people will just find other ways to push it, if many of them haven’t already. For people like myself, going to Clicksure and looking up these scam products to, not only expose in reviews, but launch-jack them, that is, getting into their websites before they launch to find things like the fake testimonials and so forth to write about. For those of us who go after this stuff, it’s going to be harder to track it down and though similar marketing campaigns (i.e. sales video loaded with fake testimonials, appeal to emotion and blatant lies) will still exist, Clicksure had its way of pulling this stuff off and it was quite unique to Clicksure. Much of this stuff still abounds on the Internet. It’s not yet been taken down or has been re-homed with another host that will take them. This remains to be researched. The marketing will become more varied though many of the same elements that make up fraudulent campaigns can still be seen of those who know what to look for. On the Look-out for New Clicksures. They’re out there. I will find other sources. Surely clicksure wasn’t the only place out there. 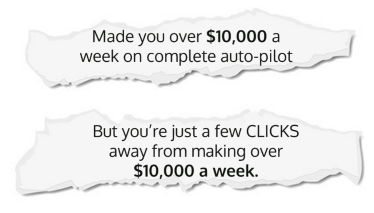 It was just the best known of these shady Clickbank counterparts. However, Clicksure was a thriving place. Without warning, it dropped the ball on its entire network. Good enough for Clicksure and the vendors and affiliates who chose to rip off people! It’s not so good for those within the network that did have reputable products as, there were those from countries that are banned from the better networks, not because they are bad people but because they live in those countries where fraud is rempart. The serious danger that comes from these operations is that they locate themselves in places where they are out of reach from countries that regulate online fraud, and many that do, do not ban these operations from being accessed by those who prefer to. Some of these bad vendors will close up shop. Others will find other ways to scam the unwary. Yet others will find a new home for their products. Yet others may even start a new affiliate network to honour the passing of Clicksure. Whatever way, people like myself will continue to seek these scam products and services out to expose them, helping save some of the unwary from being taken to the cleaners by these snakes. There’s still plenty of them out there coming out every day! 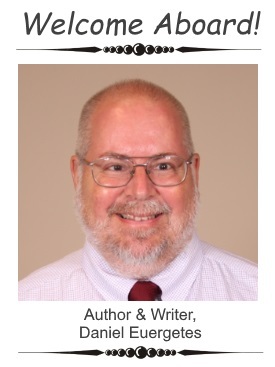 One of the many awesome things about Wealthy Affiliate, where I have been a proud member for almost nine years now, is that it teaches how to market on the Internet ethically, honestly and with excellence. Many folks who put out reviews that expose bad products are members of Wealthy Affiliate, especially those who actually get inside them or are rightfully knowledgeable of the products. 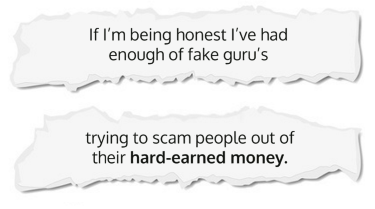 Unfortunately a few members have not followed the instructions at Wealthy Affiliate and have put out bad reviews, but there are certainly many out there that have saved folks from being scammed. Some of these people have instead of getting caught in a trap, joined Wealthy Affiliate’s learning opportunity to become an honest affiliate marketer, have learned which products to promote and do so with excellence.